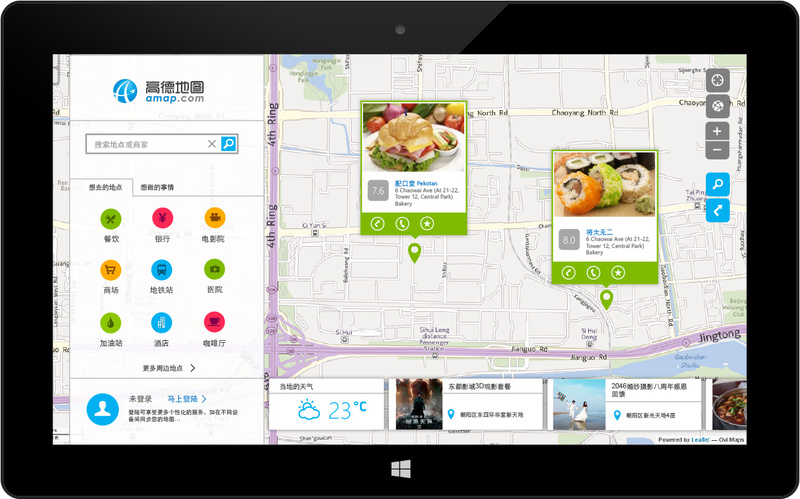 Amap wanted to update its Windows 8 app to be more usable and integrate more services into it to offer a more personalized map for users. But the problem is they don’t know how. 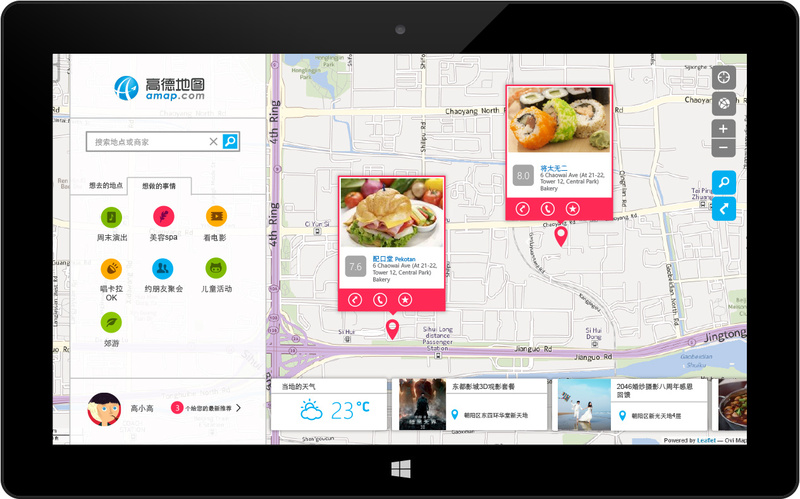 Microsoft also wanted the apps from its top partners like Amap to be beacons for the rest to follow. So they brought us in to elevate the existing app to the next level. Our role in this project is the experience consultant. 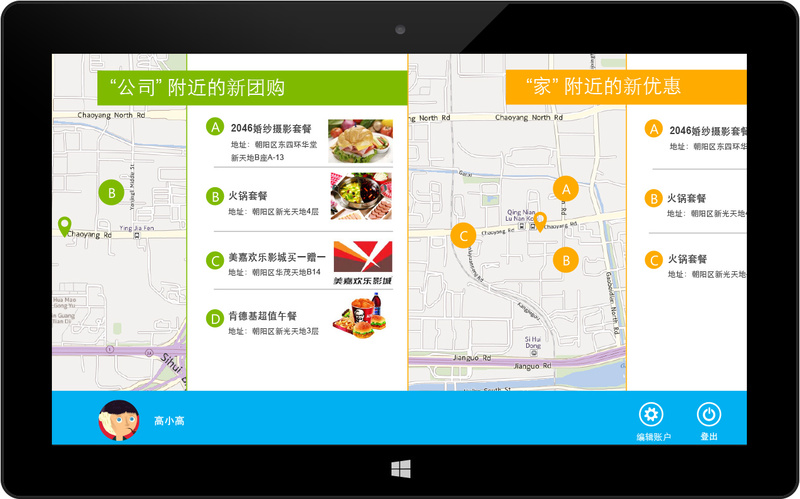 Starting from Amap’s strategic vision, we deeply thought through the possible services and functions it should integrate in the app in order to deliver a personalized map. We re-design the user interface, making the map to be centered on people’s lives with sections like “places to go” and “things to do.” We added a user center so users can add their places and follow events or special offers around them. All these efforts, going way beyond UI level, are a representation of Amap’s future.